If there were silence, she would hear her tears falling, plop, plop, on the shards of broken glass she is trying to pick up one by one. When her skin breaks, it’s the crimson color that shocks her, not the pain. The pain, she’s been getting used to, slowly, for a while now. Around her, the shadows flicker because all that remains of the bulb are bloody splinters in her hand. The candles move in tandem with her, matching either the involuntary rhythm of her buxom body or the quick, shallow breaths she releases with every pulse of her memory. The night was almost perfect. At least until she forgot her role as silent siren and said what she really thought. Then, he’d lost it. Still, it was her fault – if she hadn’t let him believe she had no opinions but his, he wouldn’t have been disappointed when she spoke. Didn’t she know better? The room had rocked when he slammed the door, the lightbulb falling from the sky, catapulting her into unpleasant darkness. It was ironic. Just outside, the first shades of the sky’s curtain were being lifted, the bulb already unnecessary. He’d disappeared into the night but already, morning was coming. 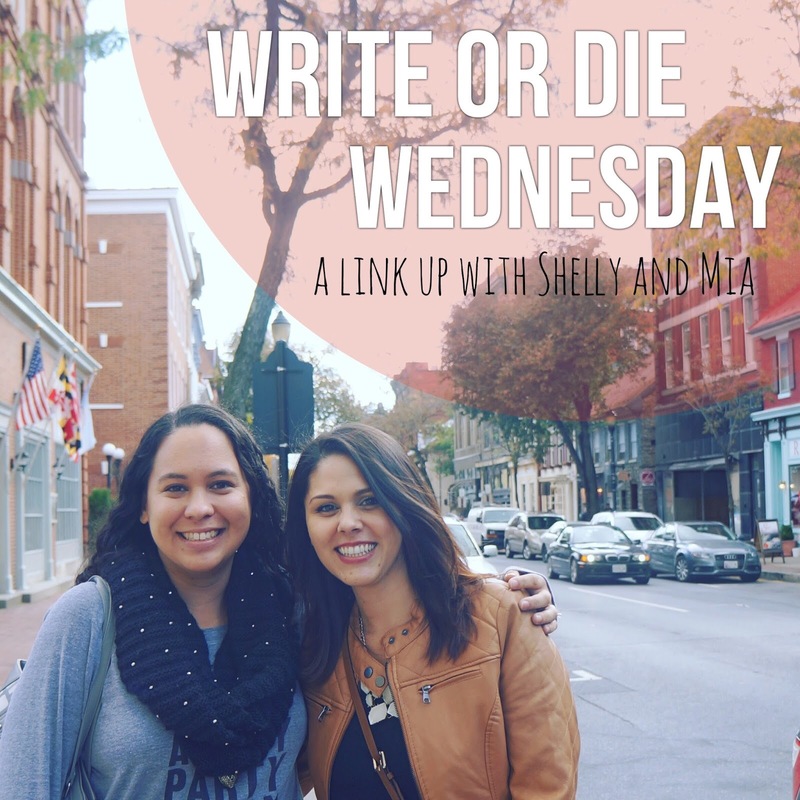 Every week, I try to share some fiction on the Write or Die link-up. Thanks, Meeks. I hope you have a great weekend. Definitely want to read more 🙂 I should try to join this link up! Love your writing. Very creative. Such an intriguing piece. Very poetic! Ouch. Ouch. Ouch. Sadly, this is the reality of so many women. What a poignant short story. So much is said without being said, while so much left to the imagination of the reader. Bravo, Karen! I loved it! Thanks so much for the feedback, Shelly. I enjoyed sharing this one too. Thanks for hosting and for always giving me such positive feedback, I really appreciate it, Mia. Ohhhhh that first paragraph was so gorgeous! I enjoyed the whole thing, but that intro. ..! Thanks so much Sarah. This is just the fire I need to write something today. I’ve been in a little bit of a writing slump and I needed this encouragement today so thank you!